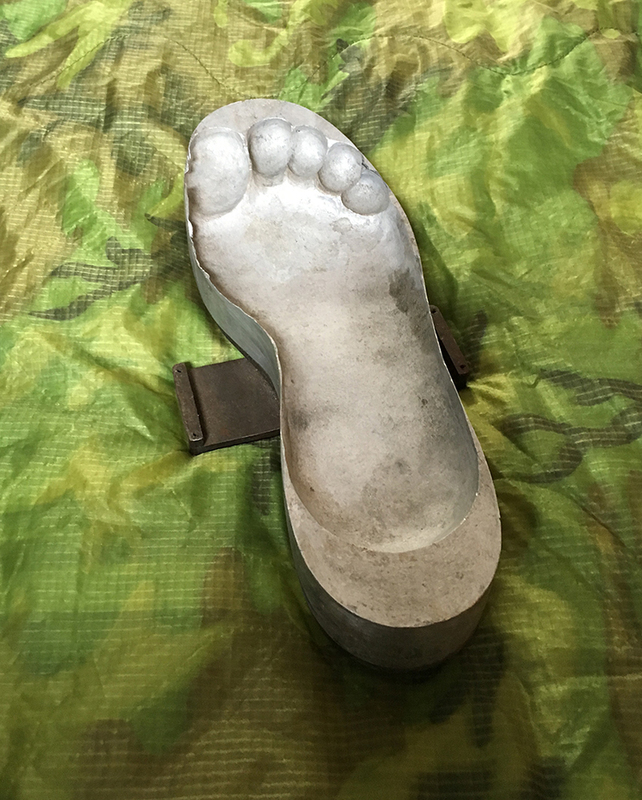 Possibly the rarest and most obscure item in the collection is this boot mould for the experimental jungle boots trialled by SOG. 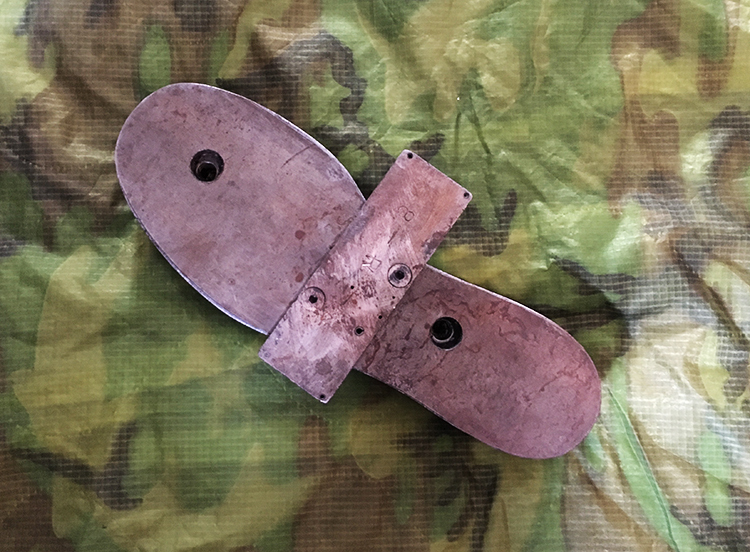 The purpose being to disguise recon teams footprints when over the fence. 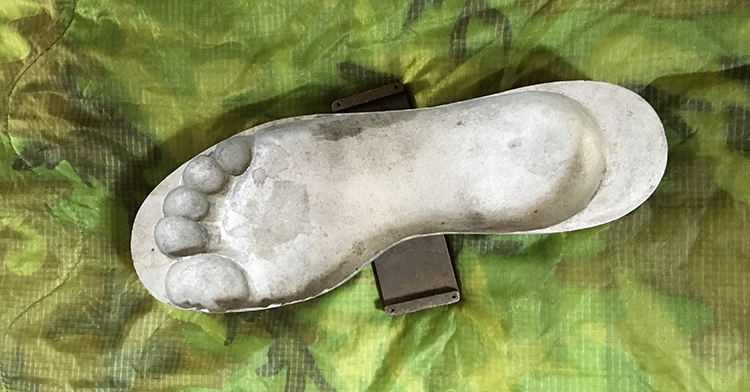 Boots were trialled with human footprints, leaf patterns and "ho chi minh" sandal treads. 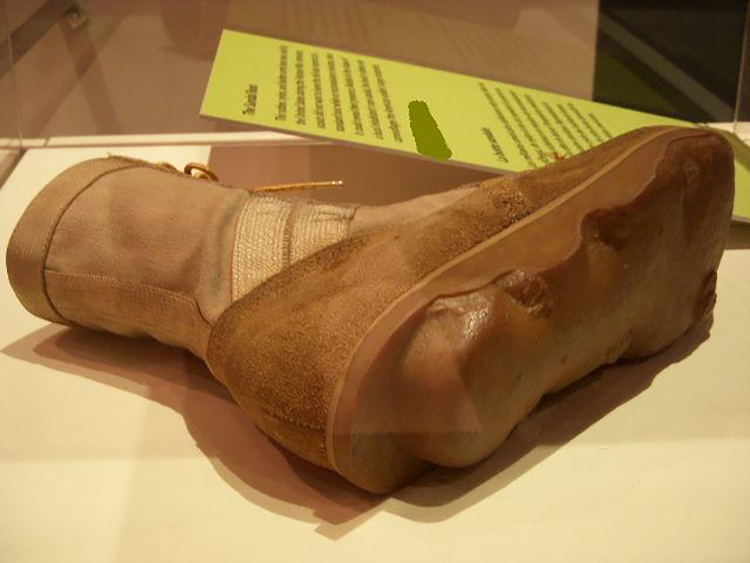 Non of them worked as they impaired the ability to walk. 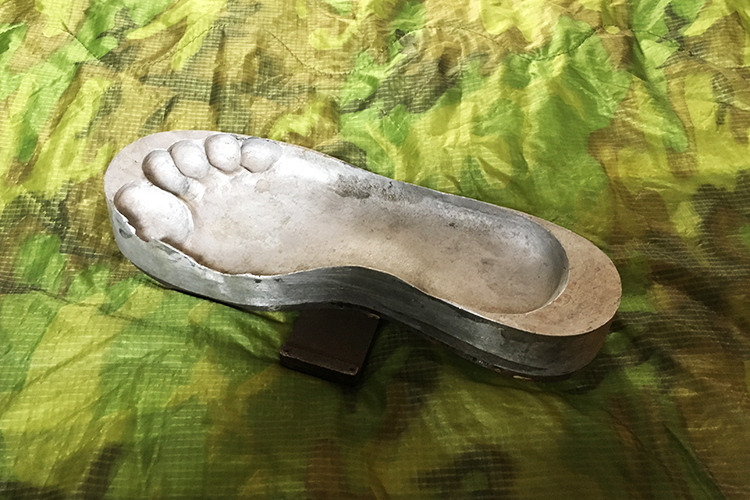 This is an example of one of the original molds made for the footprint boot contract by Wellco in their Waynesville NC plant. 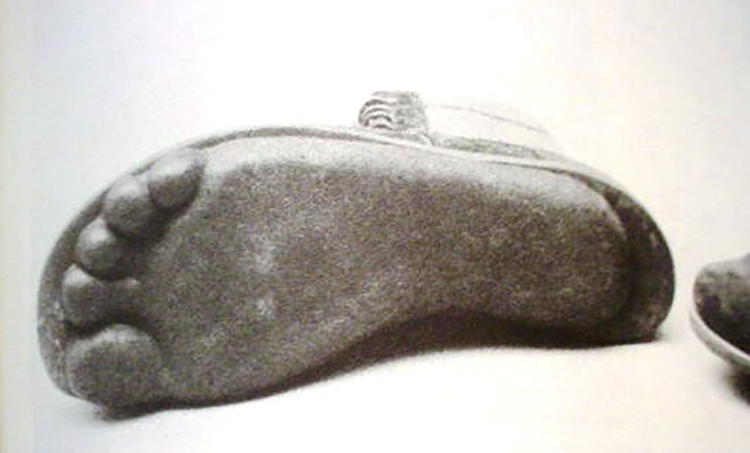 The molds and machines to use them were made by Ro-Search who was a subsidiary or Wellco, they invented the technology for the direct molded sole that was essential for making a boot that didn't have stitching to fail in the sole so it would last in tropical conditions. 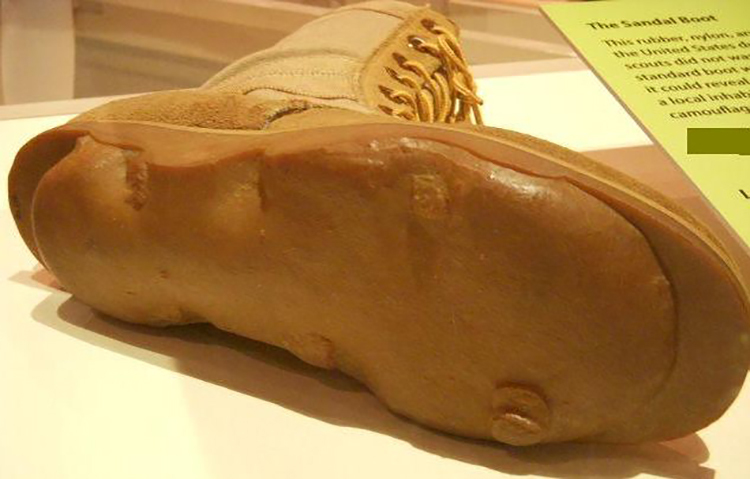 They sold the machines but only rented the molds so any company that ever made jungle boots or other DMS boots had to lease every mold from them. 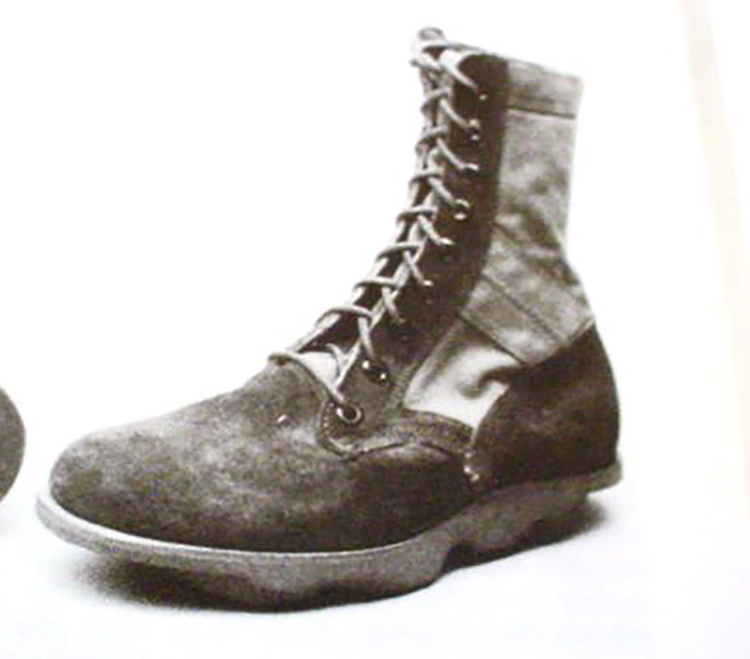 We know some people have listed other companies as the makers of the boots, but because of this arrangement the only company actually capable of that project was Wellco. 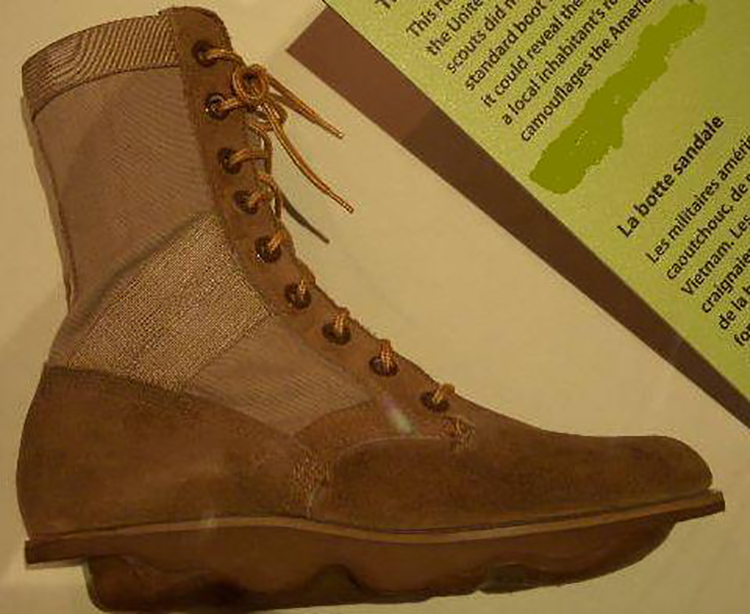 Prototype shots of the footprint boot, note the rough-out desert boot style of the boot.